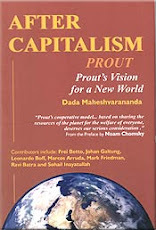 Prout - Alternative economic model for Capitalism and Communism: Not Only Bad News, but Good News! Finnish VTT scientist Lauri Reuter’s 3D-printed magic pot is growing healthy food from plant cells within a week. According Lauri this home appliance CellPod will offer soon consumers exciting way of producing local food in their own homes, and it will reduce poverty from the world. His team is now researching how to make food from the thin air, similar way than Keshe claims to be producing already. www.TheCellPod.com. Putin Ranks At Top Of Forbes list of the world’s most powerful people, for the third consecutive year. Donald Trump second, Merkel third and PM Modi ninth. https://www.youtube.com/watch?v=LTP21F3aHnE. Trump’s Disciple Suddenly Shows Up In Russia, but Russia sources say he is just on his own business trip. Kanye West seems to have recovered, although confused, after mental hospital trip. Perhaps searching protection from Trump, who advertised Kanye to the press simply: ‘A Good Man’, https://www.youtube.com/watch?v=kjZ9MZ0FaYI. Someone comments; but..I thought trump was racist. why would he hug and have a meeting with a black man…jeesh, https://www.youtube.com/watch?v=Y59nCZQX1Uo. Then Bill Gates advertises Trump; Trump, the new JFK will unite country through innovation. While McCain Freaks Out Over Putin & Trump, (https://www.youtube.com/watch?v=MSlSOVcQhu4). Patrick Bellringer comments Fulford’s claim; (Putin’s clone to be eliminated) ‘Putin, having shown his high standard of ethics, values and morals… We pray for his protection, for he stands today as our world’s greatest statesman…’ http://www.fourwinds10.net/siterun_data/bellringers_corner/hello_central/news.php?q=1481131422. Earth dust is cosmic. Tiny particles dating back to the birth of the solar system have been discovered on rooftops in Paris, Oslo and Berlin. https://www.sott.net/article/335907-Rooftops-of-3-major-European-cities-yield-samples-of-cosmic-dust. Avoiding spiritual struggles and existential questions is linked with poorer mental health. And Spiritual experiences activate brain reward circuits. Even Scientists say time travel is possible, http://www.aol.com/article/news/2016/11/28/scientists-say-time-travel-is-possible/21615723/?ncid=txtlnkusaolp00001357. Archangel Michael; reincarnation is going to be hot topic at the beginning of the year, https://www.youtube.com/watch?v=Za4Q4ict7mo. Have We Found The Fifth Force Of Nature? http://www.seeker.com/have-we-found-the-fifth-force-of-nature-1994218388.html?. Buzz Aldrin wants to tell about the moon, Mars, and mysteries of Antarctica. There was a mission (Kerry, Buzz etc) to explore the Antarctic base, recently abandoned by the Nordics. Buzz’s tweet, “We are all in danger. It is evil itself” was warning about the Nordic’s free energy solutions going into the wrong hands. More details, http://psychicfocus.blogspot.com/2016/12/what-is-going-on-at-antarctic.html. Bill O’Reilly Stepping Down Will Help With Disclousure, https://www.youtube.com/watch?v=Jsb8pYUD_Pk. Norway has 100,000 electric cars on the road, the world’s highest number per capita, which save 200,000 tonnes of CO2 emissions per year. Plan is to increase to 400,000 in three years. 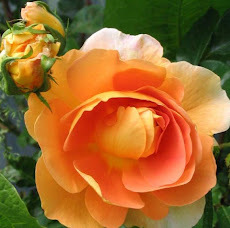 (more) http://www.globalgoodnews.com/. Solar car powers Your House When It’s Parked, http://www.popsci.com/article/cars/solar-car-powers-your-house-when-its-parked?…source=.